PHILADELPHIA -- A Philadelphia Phillies fan says a hot dog launched by the baseball team's mascot hit her in the face and left her with a black eye. 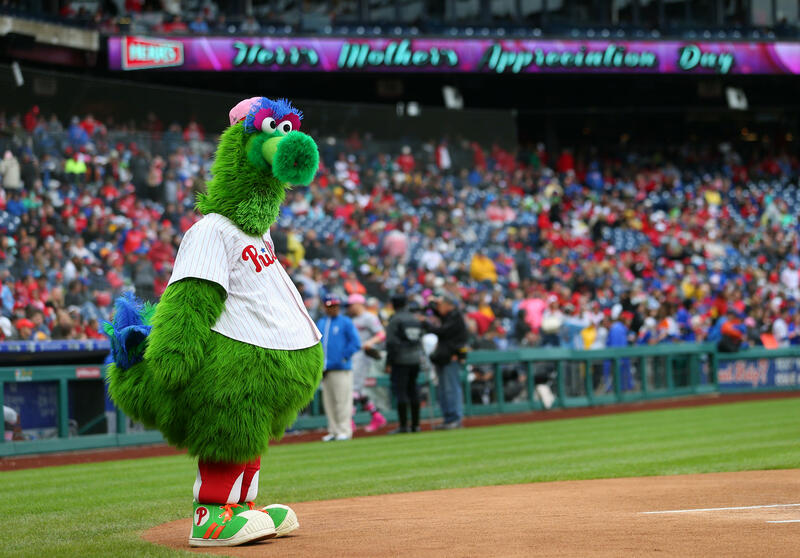 Kathy McVay says she was at a game against the St. Louis Cardinals in Citizens Bank Park Philadelphia Monday night when the Phillie Phanatic rolled out his hot dog cannon. McVay was sitting near home plate and says, all of a sudden, a hot dog wrapped in duct tape flew toward her and struck her in the face. McVay says she's suffering from a shoulder injury, so she was unable to swat the airborne hot dog away. The Phillies apologized to McVay Tuesday, and have offered her tickets to any game. CBSSports.com's Dayn Perry says this was no laughing matter, writing, "Yikes. Jokes are going to be made about this, but anything hitting someone near the eye and leaving those kinds of marks is serious stuff."